Pre-bulbed, slotted-body blind rivet nuts provide superior pull-out resistance in plastics as well as thin sheet metals. Their shoulder provides an excellent self-locating feature, and their surface finish provides outstanding corrosion resistance. 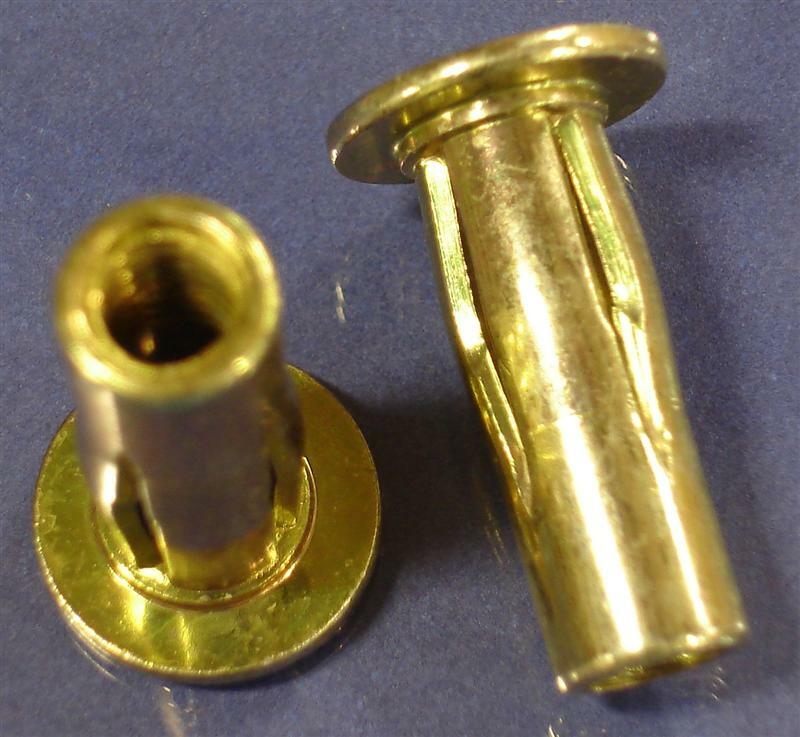 These industrial fasteners are offered by JHP Fasteners at competitive pricing and rapid delivery times. Material: Steel (finished in Zinc Plate-Yellow Dichromatic ASTM B633 Fe/Zn 8, Type II) Note: Special finish or material available upon request. Grip range can be affected by sheet material and hole size. It is recommended that a few test installations be conducted to determine the appropriate grip range for your specific application. These rivet nuts are easily installed via use of hand tools that can be pneumatic, hydraulic, or manual. There is no special tooling required. The pre-bulbed design reduces the amount of installation force required when compared to straight shank designs. The rivet nut’s shoulder provides a self-location feature that helps facilitate insertion. The pre-bulbed, slotted-body rivet nut will provide excellent performance in thin sheet metals as well as plastic materials. They can effectively reduce your assembly costs by helping to minimize your use of loose hardware and increasing your overall assembly speed. JHP Fasteners can satisfy all of your industrial fastener needs. We can help you select the type of fastener that will be most appropriate for your product or application and will then provide you with a price quote that will be difficult to beat.